What should you look for when choosing how to invest your money? What represents a good return on your investment? How do you choose who to trust with your hard-earned cash? These are all important questions to consider and who better to answer them than someone who has made successful and rewarding choices already? 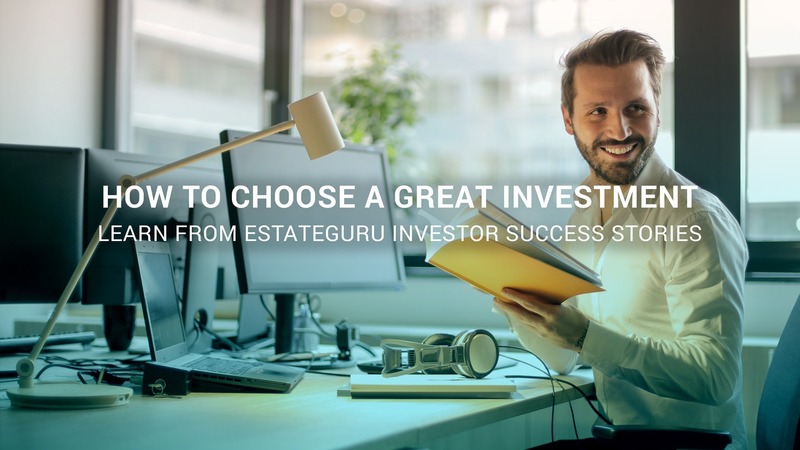 We recently spoke to two of EstateGuru’s most active investors on why they chose our platform, as well as what they look for when choosing an investment opportunity. Mart* is a retiree who lives in Malta and is looking for ways to ensure that he stays financially comfortable. He says he looks for a perfect balance between security and return when choosing where to put his money. “I did a lot of research and eventually landed on EstateGuru. I feel that it is a very well-run organization and that gives me a real sense of security,” he says. Mart is a seasoned P2P and alternative investor and he advises newcomers to make full use of cross-border opportunities to keep their portfolios well-diversified. Our second investor, Renno*, runs his own business in Tallinn, Estonia and he brings this entrepreneurial spirit to his investment portfolio as well. Renno is a numbers guy, so he has a clear idea of what he wants in an investment. For those unfamiliar with the term Loan to Value (LTV) it represents the value of a loan relative to the total property value. Typically, lower LTVs represent a lower risk investment. We plan to bring you many more of these informative blogs as we speak to some of EstateGuru’s expert investors to gather tips and advice. In the meantime, why not check out some of our other blogs aimed at helping you to start your investment portfolio? *Due to our strict rules about investor privacy, we have used pseudonyms. All numbers and responses are real.